Since 1998, SkyBridge Global has helped communicate the business value of ERP to a number of Universities and Colleges. Our performance has consistently offered the right services, at the right level of quality to help clients gain more from their investment in technology. With ERP market dynamics and views on institutional return on investments drastically changing, we continue to deliver value beyond IT and operate as peers to institutional leadership. Leaders in higher education. 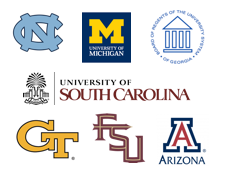 Over 70 institutions have partnered with SkyBridge Global including University of Michigan, University System of Georgia, University of Missouri, Florida State University, University of South Carolina, University of North Carolina at Chapel Hill, University of Arizona, and Georgia Institute of Technology. 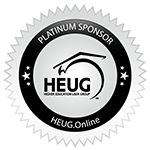 SkyBridge is proud to be a HEUG Platinum Sponsor. 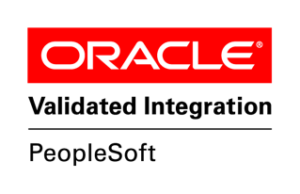 The Higher Education User Group (HEUG) is a Non-Profit, international organization consisting of Higher Education institutions that use application software from the Oracle Corporation. Alliance 2017 video via HEUG. SkyBridge Executive Vice President, Gurmeet Bhatia speaks to partnering with Higher Education & Public Sector. SkyBridge helps university IT leadership: establish and certify 3-5 year IT Plans, create alignment between IT and university business objectives, and deliver plan execution. Our services and methodology have proven to create specific value where it counts most. SkyBridge delivers Project Management, Functional and Technical consulting for Oracle and PeopleSoft ERP Applications including HCM, Financials, Campus Solutions and Enterprise Learning Management (ELM). 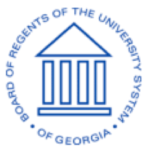 Improving capability to understand upgraded capabilities of Campus Solutions to how to enhance, strengthen and adopt new capabilities to best leverage configuration for Grants, Academic Advising, Financial Aid, Recruiting and Admissions, Student Financials and Student Records. SkyBridge’s Managed Application Services helps reduce costs by supporting PeopleSoft System Administration for Campus Solutions, Human Resources and Finance. Optional support block of hours to support general enhancements, interfaces, integrations, data conversion migration, report processing and training. Automated testing tool used for payroll validation during implementations, upgrades, tax updates and benefits enrollment. Designed, developed and maintained by SkyBridge Global. Get Started. Connect with SkyBridge. SkyBridge is an Oracle Platinum Partner with over 400 clients. For 20 years, our developers and consultants have been contributing to the Oracle framework. We were there to develop PayMatch® when the payroll industry needed a bolt on PeopleSoft supplement. We continue to write ERP history, as today’s brands explore what the Cloud can do for them. We are always looking for good people to work with. We are home to 200 employees and growing. If you think you are an Oracle powerhouse, send us your resume and we will be happy to schedule a conversation. Success. We will get in touch with you ASAP.